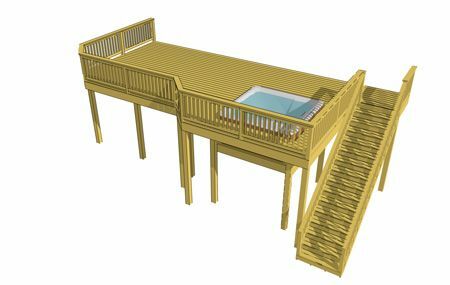 This design features a recessed hot tub which rests on a platform designed to support the increased loading. 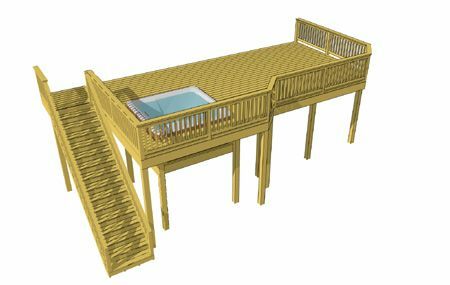 The primary entertaining area will be on the 14' x 14' deck space beside the hot tub. 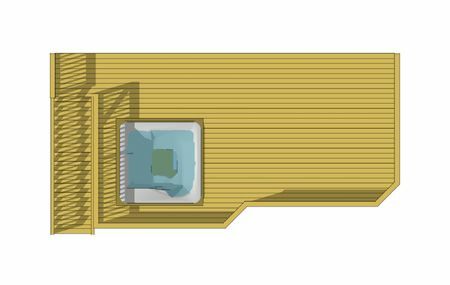 Stairs descend away from the house and direct traffic toward a lane in between the house and the hot tub.